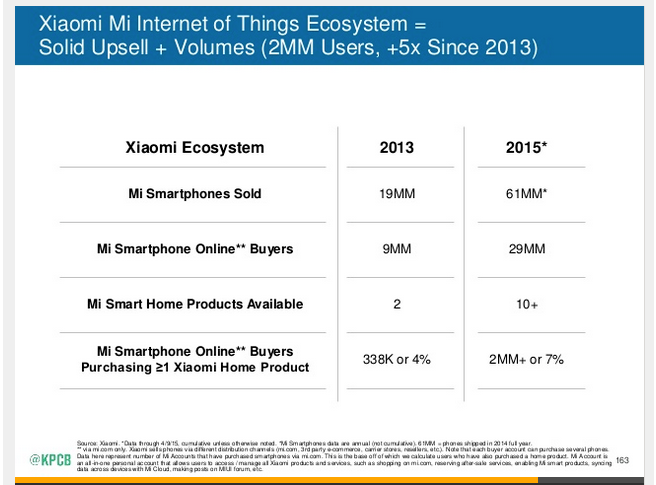 I wanted to revisit Stratechery’s previous article about Xiaomi’s ambition to become a high-end, all-purpose consumer electronics brand for China. Li Nan, vice president of the rival Meizu, which began in the early 2000s by making digital music players and aims at customers slightly older and wealthier than Xiaomi’s, likens the devotion of Xiaomi supporters to a religion. What is more interesting, though, is what will happen when Han and his peers finally do get places of their own. They will need to buy TVs, and air purifiers, and all kinds of (relatively) high renminbi goods. And which brand do you think they will choose? If Apple can sell a battery charger to my coworker, I’m pretty certain Xiaomi can sell an air purifier to Mr. Han, and, sooner rather than later, just about everything he needs for his new house (many of these products will be built by 3rd parties that Xiaomi invests in).